The 2019 Premier League returns next Thursday, take a look at this year's line-up. The 2019 Premier League Darts season kicks off at Newcastle's Metro Radio Arena next week, with the world's best set to battle it out over 17 nights of top tungsten. 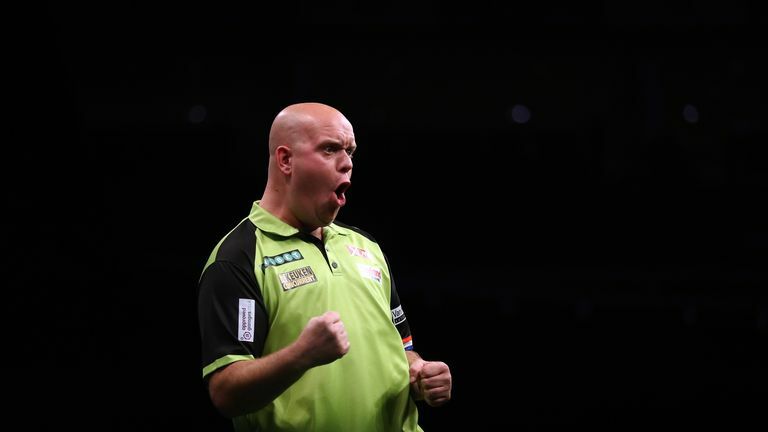 Three-time world champion Michael van Gerwen is bidding to win his fourth consecutive Premier League crown this year, having also topped the league phase in each of the last six seasons. 'The Green Machine' defeated Michael Smith in last year's Premier League showpiece, and history repeated itself as Van Gerwen overcame 'Bully Boy' to scoop his third world title on New Year's Day. Nine of last year's line-up return to the fold in 2019, with nine-time major winner James Wade making his Premier League return at the expense of Simon Whitlock. 'The Machine' ended his four-year wait for a major title at the European Championship, which he followed up with World Series Finals success just a week later to reclaim his spot in the world's top 10. Rob Cross, Peter Wright and Gary Anderson all automatically secured their spots via the PDC Order of Merit, while Daryl Gurney, Mensur Suljovic and Gerwyn Price all return after making their debuts 12 months ago. Elsewhere, five-time world champion Raymond van Barneveld makes his 14th consecutive Premier League appearance as he begins his final year on the PDC circuit. Hit the video above as we preview the return of the Premier League!